OTAR sends updates to radios over the air, so users do not have to bring their radios in for manual service, saving time and protecting productivity. 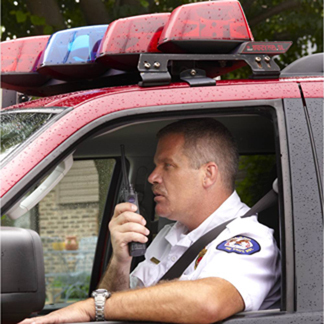 Solve the logistical problem of maintaining secure wireless communications and eliminate the burden of manually rekeying your radios on a regular basis. Project 25 (P25) compliant OTAR is part of a powerful suite of ASTRO 25 applications designed for radio and network management that enables key distribution and key management to be conducted securely over-the-air. OTAR is enabled via Motorola's FIPS 140-2 certified Key Management Facility. System operators easily and securely change encryption keys on a regular basis.